﻿ Best Price on Habitation La Chery in Le Diamant + Reviews! 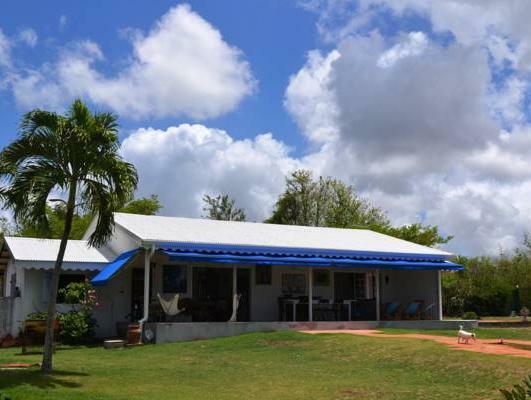 This coastal bed and breakfast features an outdoor swimming pool overlooking the beautiful Caribbean Sea and offers spacious, air-conditioned rooms. Habitation La Chery is located in Diamant. Both rooms at this small property come with a wardrobe and cable TV. The 2 rooms share a bathroom with a shower and toilet. The property can prepare meals for guests on request, and there are restaurants serving local and international cuisine within 5 km of Habitation La Chery. Plage de l'Anse Baptiste beach is only 200 metres from the property, and Diamont City Centre is just 2 km away. The capital city of Fort de France is a 35-minute drive away, while Aime Cezaire au Lamentin Airport can be reached within a 20-minute drive. Payment is also possible by bank transfer. Please contact the property in advance for more information, using the contact details provided on your booking confirmation. Please note that for reservations of 2 nights or less, the first night is charged as a deposit. Please inform Habitation La Chery in advance of your expected arrival time. You can use the Special Requests box when booking, or contact the property directly with the contact details provided in your confirmation. A prepayment deposit via bank transfer is required to secure your reservation. The property will contact you after you book to provide any bank transfer instructions.